• It may have been available on the local iTunes store for more than a month, but Central Station this week serviced the brand new single from British outfit Dirty Vegas to media. 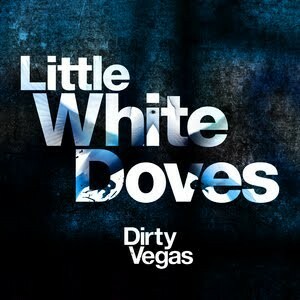 It’s called ‘Little White Doves’ and some of the world’s leading DJs are already leading the charge on it, spinning the track in clubs around the world. • Congratulations were flowing this week to the team at Frontier Touring, who along with Leonard Cohen, picked up a Helpmann Award for the Best International Contemporary Concert for the singer’s show at Hanging Rock late last year. Powderfinger picked up the nod for the Best Australian Contemporary Concert and Splendour In The Grass picked up the Best Contemporary Music Festival at the annual awards, which were held in Sydney on Monday night. • Jack Vidgen’s win on Australia’s Got Talent earlier this week paid dividends for at least a couple of days, with his debut single ‘Yes I Am’ making it all the way into the iTunes top ten. And while it’s now dropped outside the top 20, fans still seem to be loving the soul-filled gospel-tinged tune, which you can hear below. • There were plenty of new tunes out at Australian radio this week (besides Dirty Vegas and Jack Vidgen). Art vs Science’s newie ‘With Thoughts’ made it out, so too Kasabian’s ‘Days Are Forgotten’, Noel Gallagher’s ‘The Death Of You And Me’, Drapht’s ‘Bali Party’ and a re-service of Demi Lovato’s ‘Skyscraper’ among others. • Tim Finn will celebrate the release of his new album ‘The View Is Worth The Climb’ with a one-off launch in Sydney later this month. He’ll take the stage at Upstairs Beresford in Surry Hills on Tuesday August 30, with tickets on sale now. • EMI has announced that Eric Church’s album ‘Chief’, which tops the Billboard albums chart this week, will be rush-released in Australia. Officially due to hit stores here on August 26, EMI is rushing to cope with demand and has said that the album will be shipped to stores as early as next week. • ABC recording artists Dead Letter Chorus has announced a national tour. They’ll play four dates on their country-wide jaunt, one each in Sydney, Melbourne, Brisbane and Perth, kicking off in the West Australian capital on September 16. Their sophomore album ‘Yearlings’ will be released later this month. • The Raggamuffin Festival is back early next year, with dates already locked in for Sydney, Melbourne, Brisbane and Perth. Headlining the 2012 event will be the unmistakable voice of UB40 Ali Campbell. Full line-up and tour information for Raggamuffin are expected over the next couple of weeks. • World renowned violinist David Garrett, who will release his new album ‘Rock Symphonies’ in Australia later this month, will step foot on Australian soil for the very first time early next month for a promotional visit. He’ll be in the country for five days from September 06 and you can get a little taster of what to expect HERE. 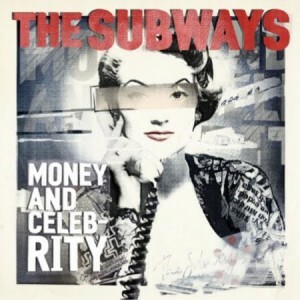 • Shock Records has announced the forthcoming local album release by UK outfit The Subways. ‘Money And Celebrity’ (pictured) is the band’s third LP and will be released in Australia on Friday September 16. • Melbourne four piece Husky has inked a deal with Liberation Music. Their debut single ‘History’s Door’ was released earlier this year and immediately discovered by Triple J. With their debut album ‘Forever So’ now in the bag, Liberation has snapped them up and are hoping to release the long player later this year. Check them out HERE. • And given it’s been just over a week since our last news wrap (how tardy have we been!? ), let’s check the charts… Speaking of… Popbitch suggests that Cher Lloyd will have a No.1 hit on her hands with ‘Swagger Jagger’ come Monday. • On the UK singles chart, The Wanted has been bumped off the top spot by fellow boy band JLS and their new single ‘She Makes Me Wanna’. Amy Winehouse’s single ‘Back To Black’ rockets into the top ten at No.8 following her sudden passing, while Nicki Minaj edges into the top ten with ‘Super Bass’ at No.10. • On the British albums chart, as mentioned earlier this week, it’s all about Amy Winehouse, with her album ‘Back To Black’ rocketing to the No.1 position. Her debut ‘Frank’ is also in the top five mix, debuting in the No.5 position, while the double pack of both albums is in at No.10. • Not too much change on top of the Billboard Hot 100 singles chart this week, with LMFAO maintaining top spot with ‘Party Rock Anthem’. Nicki Minaj and Lil Wayne both edge higher and Britney’s got herself another top ten hit with ‘I Wanna Go’ – into the top ten at No.9. Kanye & Jay-Z are knocking on the door, however, up 35 spots this week to No.12 with ‘Otis’. 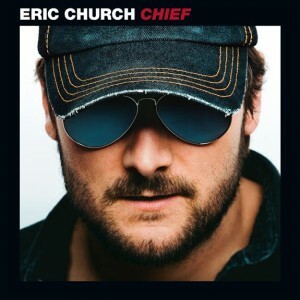 • And as mentioned earlier in the wrap, Eric Church has landed his first US No.1 album with ‘Chief’. The singer sold 145,000 copies of the album in just one week, debuting in the top spot ahead of Adele and a strong result for Kelly Rowland’s LP ‘Here I Am’, which came in at No.3. Joss Stone’s ‘LP1’ came in at No.9.